Joe Rogers, a former short-order cook who built the empire of roadside diners across the American South known as Waffle House, has died. Bloomberg is reporting that Rogers died on March 3, and no cause of death was provided. He was 97. Sales at Waffle House’s 1900 locations reached $1.03 billion in 2016, and according to the restaurant, the chain has cooked 2.5 billion eggs and 1.6 billion strips of bacon since its inception. 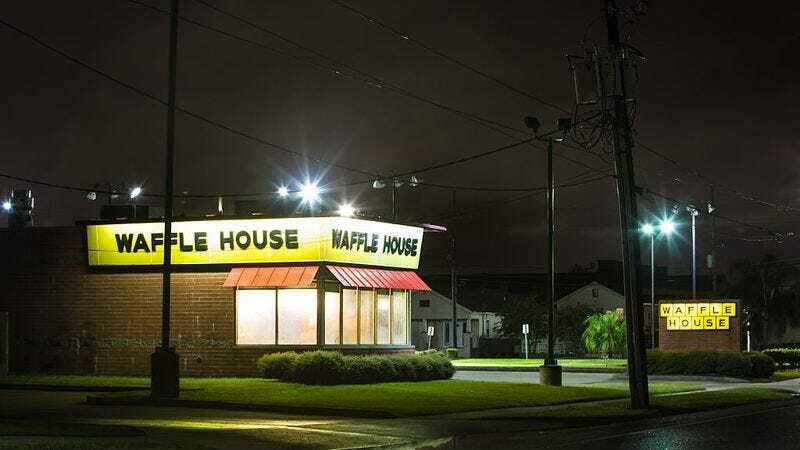 But Waffle House’s biggest cultural contribution may be how it became a barometer for storm-related impact in emergency management. The theory for the Waffle House Index is this: If a storm is bad enough to force closure of a Waffle House, you know it’s time to freak out.